The fourth conference of the International Loehe Society met in Neuendettelsau from July 23-27, 2014 at the Haus Lutherrose. At the conference with the title “If you cease learning, you cease being capable,” the conference participants studied Loehe’s concept of formation, a subject which had previously been the subject of little research. Loehe developed ideas for how school, church, and family work together in a lifelong process of formation. At the same time, he proposed models for how formation can contribute in churchly, diaconic, and missionary challenges. 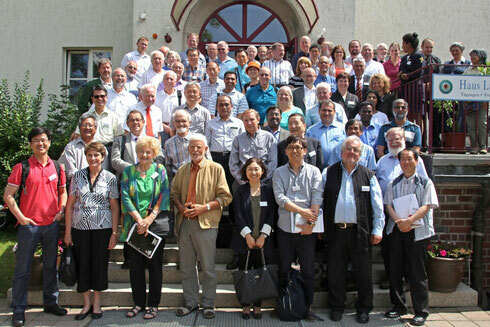 The conference brought experts and interested laymen and -women from Europe, North America, Africa, and Australia together to discuss “horizons of formation in Wilhelm Loehe” and their relevance today. There was an excursion to visit Loehe’s birth town of Fürth. Please find on the following pages a detailed conference program and information about the speakers.